Burlington College is the latest casualty in a growing list of private liberal arts colleges that have collapsed under financial struggles and lagging student enrollment. 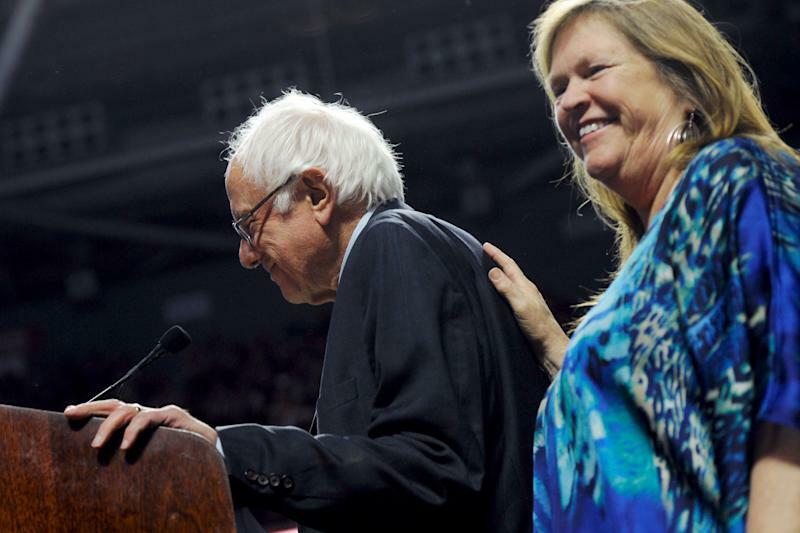 The school announced its closure in a statement Monday, blaming the move, in part, on the “crushing weight” of debt it incurred after a 2010 real estate purchase arranged by then-president Jane Sanders, wife of Democratic presidential candidate Bernie Sanders. Jane Sanders served as president from 2004 to 2011 and left her post after a dispute with the college’s board over her decision to buy 30-plus acres of lakefront property from the Archdiocese of Burlington to expand the campus and attract new students. The move was unsuccessful. At the end of Jane’s run, the school reported 19.4% of pupils were in default on their student loans three years after graduating, according to data from the National Center for Education Statistics. That rate fell to 7% in 2012, the year after Sanders departed (and the latest year for which data is available). According to a February report by Politico, only one-third of Burlington College graduates earned more than someone with a high school diploma. The cost of attendance (tuition and room and board) runs nearly $38,000 per year. In July 2014, the school was in such dire financial straits it was put on probation by its accrediting agency with a two-year window of time to get its act together. With that window closing soon and news in April that the college’s lender, People’s United Bank, was pulling its line of credit, college leaders decided to throw in the towel. “These hurdles are insurmountable at this time,” the college said in a statement. The school will officially close on May 27. The 245 students currently enrolled will have to transfer to other schools. Burlington’s closure is not unique in the world of private liberal arts colleges, a sector of higher education that has particularly suffered in the years since the 2008 financial crisis. According to data released Monday by the National Association of College and University Business Officers (NACUBO), revenue at private colleges has slowed to 1.8%, down from 2.2% during the 2013-2014 school year. More than one-third of institutions reported declining enrollments. Unlike public institutions, which are heavily subsidized by federal and state funding, and elite private schools, with billion-dollar endowment funds, small private schools depend almost exclusively on tuition and room and board fees for revenue. One of the more popular ways these schools have tried to attract new students is by offering seemingly huge tuition discounts — that is, offering more grant-based aid up front, in order to reduce the sticker price families pay for tuition. The average discount for the 2015-1216 academic year was 48.6% for incoming freshman, according to NACUBO. These discounts, however, aren’t the incredible bargain they appear to be, as Yahoo Finance illustrated in an in-depth report on the practice last fall. For example, Rosemont College, in Rosemont, Pa., said recently it would cut the sticker price for tuition and room and board by 34% for the incoming class of 2016. But looking at the change in the net price — how much families pay out of pocket after factoring in grant-based aid — the discount was a much more modest 7%. Bernie Sanders’ spokesperson did not immediately return a request for comment on Monday.